v13 The *dragon realised that God had thrown him down to the earth. So, he began to pursue the woman who had given birth to the boy. v14 The woman received two wings like a large *eagle. Now she could fly to her place in the desert. She will receive there whatever she needs for three and a half years. And the *dragon will not be able to hurt her. v15 Then the *dragon poured water like a river out of his mouth. The *dragon wanted to carry the woman away in the flood. v16 But the earth helped the woman. The earth was like an animal that opened its mouth. So, the earth swallowed the river that the *dragon poured out of his mouth. v17 Then the *dragon was angry with the woman. So, the *dragon went away to fight her other children. They are the people who obey God. They are loyal witnesses of Jesus. v18 And the *dragon stood on the sand by the sea. Verse 13 The *dragon could not kill the child. God threw the *dragon (*Satan) out of heaven. So, the *dragon turned his attention to the woman. He tried to kill her. The woman means the true *Jews. They are the *Jews who trust in God. *Satan will oppose them. But God will protect them. Verse 14 God gave to the woman a pair of wings. They were like the wings of a great *eagle. The *eagle is a very powerful bird. With these wings, the woman escaped from the *dragon. The *Lord had prepared a place for the woman. It was in the desert. She flew there and she was safe. The *Lord protected her for three and a half years. The *dragon had just three and a half years before Christ would arrest him. The woman was safe for the whole of that period. This means that the *Lord protects his own people. So, the *Lord will protect until the end the *Jews who trust in him. The *dragon tried to reach the woman. But he was not able to hurt her. Verses 15-16 As the woman flew to the desert, the *dragon opened his mouth. He sent a great flood of water after her. If the water had reached her, she would have drowned. But the earth opened up and it swallowed the water. So, the water could not reach the woman. She was safe from the flood. 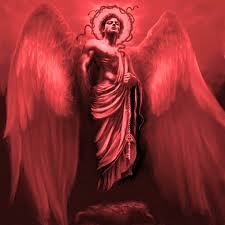 The devil will pour out all his evil deeds against the *Jews. He will do all that he can to kill all of them. But God will not allow him to succeed. God has promised to rescue his people (called *Israel) in the last days. And God will do the things that he promised to do. God will save *Israel. Verse 17 The *dragon was angry because he could not reach the woman. So, he went to fight her other children. Christ came from the *Jews. He, the Son of God, was by birth a *Jew. Those who believed in him did not become *Jews. The children of the woman were both *Jews and those who were not *Jews. The *dragon could not hurt the *Jews. So, he attacked God’s people who were not *Jews. God’s people will suffer terrible problems for those three and a half years. Those who believe in Jesus will suffer much. Many of them will die because they believe in Jesus. It will be a terrible time. Verse 18 The *dragon stood by the sea. He would call up another *beast from the sea. On behalf of the *dragon, this new *beast would lead the fight against God’s people. This entry was posted in Discipleship and tagged Christ Jesus, God, Gospel of Luke, Gospel of Matthew, Jesus Christ, John, John 1:1, New Testament, revelation, theology. Bookmark the permalink.